Wishing the happiest of birthdays to James’ beautiful wife, Layla Bamford. I’ve always loved this photo but not the original background so much, so I photoshopped a much prettier one for this card. Layla, I hope your day is filled with fun, love and family. Enjoy! 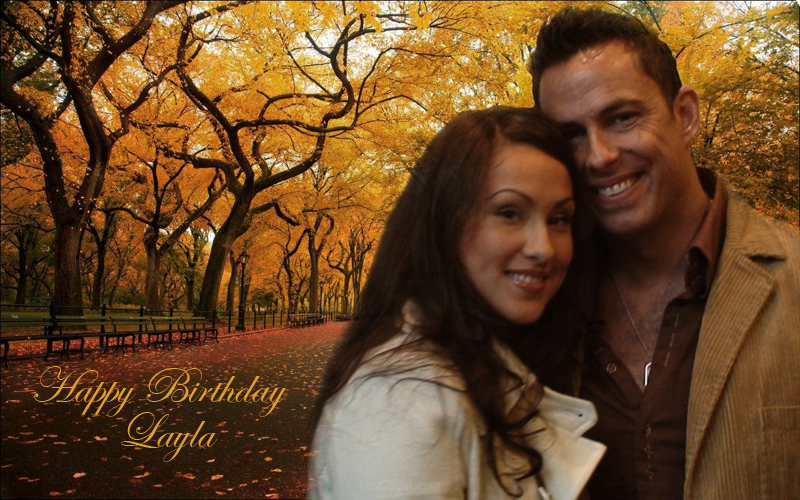 Any fans wishing to pass on birthday wishes, please leave in the comments, via James on Twitter @JamesBamford or via Layla’s Twitter @LaylaBamford (although she isn’t active on the account). Next Arrow Stunt Team jackets rock!